Most likely, I’ll never be a GoPro customer. The only direct interaction I’ve had with the maker of action cameras was several years ago during the Great Target Credit Card Breach of 2013, when suddenly a half-dozen GoPro purchases mysteriously appeared on my card statement. Unfortunately for GoPro, many other people aren’t, either – and it’s one reason why the company’s financial results have been pretty ugly coming off of the most recent holiday season. This past week, GoPro announced that it is cutting nearly 10% of its workforce (more than 100 people) because of weak sales during the 4th Quarter. In a holiday quarter when product purchases should have grown revenues considerably, the weaker-than-expected sales volume of ~$435 million meant that GoPro’s revenues were far short of the $510 million originally projected. From the financial market’s perspective, this news was sufficiently negative that trading of GoPro shares had to be halted briefly this past Wednesday. 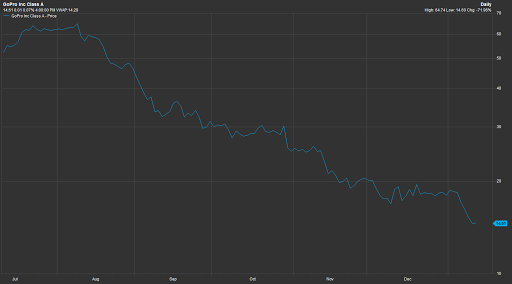 GoPro shares over the past six months. 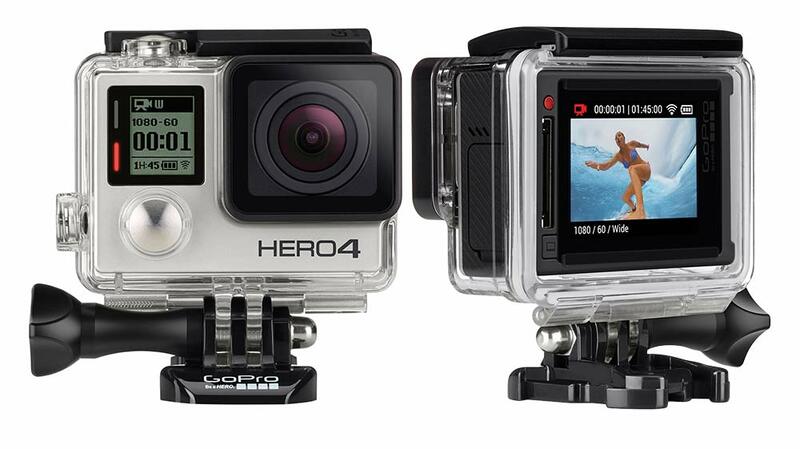 GoPro misjudged the price consumers were willing to pay for its Hero4 Session cube cam, introduced in July 2015, resulting in two dramatic drops of the sticker price in September and December down to $199. Competitors are entering the field, putting further downward pressure on pricing. There’s a ceiling on the demand for action cameras because “action adventurer” consumers are such a small slice of the general population. But does any of this come as a particular surprise? Like in any other consumer electronics product category, the trajectory of high growth among early adopters leads to new market entrants, followed by the hardware becoming essentially a commodity. … And the whole process is as swift as it is inevitable. GoPro is branching into newer segments like camera drones — and not a moment too soon. But the reality is that in a product segment like action cameras, any supplier will always be just one step ahead of commoditization. And for this reason, product mix reinvention has to be happening continuously.